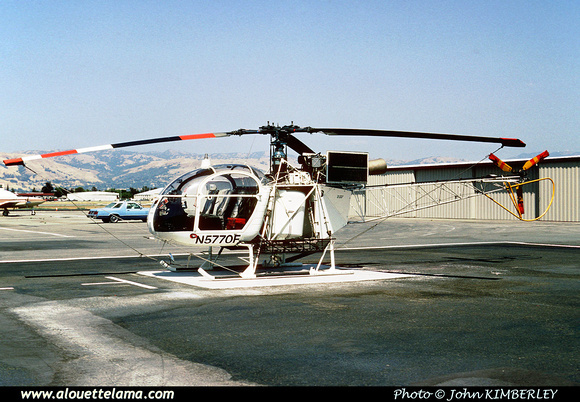 N5770F Eurocopter (Aérospatiale) SA315B Lama MSN 2593, Aris Helicopters - United States of America - 06-1989 - Photo John Kimberley, Kenneth Swartz collection. 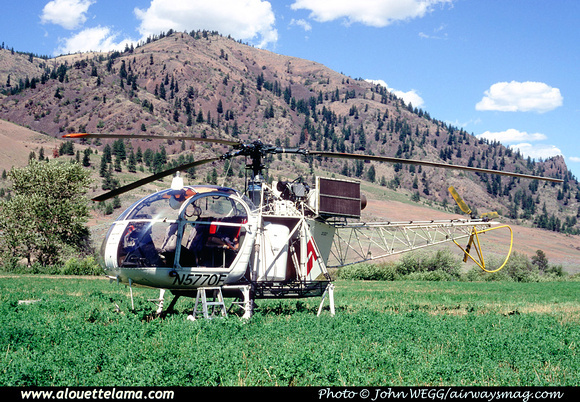 N5770F Eurocopter (Aérospatiale) SA315B Lama MSN 2593, Aris Helicopters - near Perma, MT - 07-1994 - Photo John Wegg, Kenneth Swartz collection. Dernière mise à jour/Last update : 22-09-2012. L'usage des logiciels Firefox ou Safari est recommandé. The use of Firefox or Safari browsers is recommended.